Kushner Entertainment delivers a marquee experience designed specifically for you, your venue, type of celebration, and for your guests. Kushner Entertainment connects clients’ desires, tastes, and style to the people with whom they wish to share an incredible experience through an arsenal of award-winning bands and entertainment design professionals. We manage a high-energy, client-specific entertainment, and collaborate with production design, through customizing a perfect experience from our first conversation to the last encore. Every wedding, corporate event, private celebration, and fundraising gala has a flow —a rhythm— that begins onstage and is amplified throughout the crowd. This shared experience creates the emotional core and defines the feel, sound, texture, and visual of your celebration. The goal of entertainment design is to cultivate this connection with the perfect talent, ambiance, and music to match your vision. Connecting our clients’ desires, tastes, and aesthetic to the people with whom they wish to share a special memory is our personal approach to designing entertainment experiences. Kushner Entertainment continues to be recognized as the gold-standard of our industry with over 25 years of incredible relationships serving as the cornerstone of our brand. Let us design your entertainment experience. SoundConnection is a powerhouse of experience and artistry. This award-winning, jet-setting, 10-piece party band is fronted by four of the most dynamic lead singers performing in a LIVE party and event band anywhere in the United States. All you have to do is experience five minutes of their talent and energy to see why they’re a global draw! SoundConnection’s rhythm section is like none-other on the party band, event band, or wedding band circuit. Rhythm6 is the definition of high-energy! This diverse 7-piece party band has an unparalleled stage presence that radiates excitement and fun uncommon in the event or LIVE band music industry. Fronted by three lead singers, who exude the ultimate in passion and commitment to their craft, and backed by a pumping rhythm section to match, Rhythm6 will make you feel you are experiencing a national celebrity act performing specifically for you, and your guests. The New Romance cranks out an incredible nonstop high-energy show that will leave you breathless! You'll know every song, dance for hours and sing at the top of your lungs. From their home in the US to Asia, they've seen thousands of faces and have rocked them all! Since their inception, The New Romance's sole mission is playing the songs you know and love with stunning accuracy. Winners of several music industry awards including "Best Cover Band," this group thrills audiences from intimate weddings to corporate extravaganzas with their custom-crafted and interactive experience, supported by the awesome talent of our Kushner Entertainment Design team. See YOU On The Dance Floor! Modern Style & Rootsy Charm | Introducing The Free: an upscale party band that blends modern style and rootsy charm. The Free hail from the South but are not a Southern rock band, a distinction that becomes obvious as soon as the band takes the stage. They keep up with the latest from Bruno Mars and Taylor Swift, effortlessly transition to musical comfort food from artists like Mumford & Sons, Tom Petty and Johnny Cash, and perform their show with a stylish, youthful energy and a homespun flair all their own. They are a dream team with Kushner Entertainment — bringing warmth and “wow” to any event! The Big Beyond brings magnetic energy that explodes on stage, ignites any crowd, packs every dance floor, and blows the roof off the best parties at the most high-profile venues! They’ve quickly become one of the nation’s most popular party bands, maximizing impact at the biggest events with the most notable crowds. Amplifying a live party experience to the next level, This band showcases an energy with more singers, more horns, more choreography, and more engagement than you ever thought a band could bring to a special event! The band’s lineup elevates any event into an absolutely epic experience. The lineup can include combinations of male and female lead singers, a tight rhythm section, a sizzling horn section, energetic dancers, and a DJ/emcee to keep the crowd hyped. Project Orange is a high-energy alternative type of party band made up of extraordinary musicians and singers who have toured with the best, from Stevie Wonder to Lady Gaga. Their founder, Toni, and her relentlessly passionate commitment to her art makes her and Project Orange a truly unique force of nature. This awesome band can be hired in a variety of configurations from 7-10 pieces, featuring three or four lead singers, rhythm section, and horns. Toni, Project Orange’s founder, had her first hit at age 14, which was recognized as an international dance classic. She was nominated for an R&B Music Association Award with another hit song, which she performed backed by a choir of stars including Bobby Brown, Cameo, Dionne Warwick, and Jocelyn Brown. 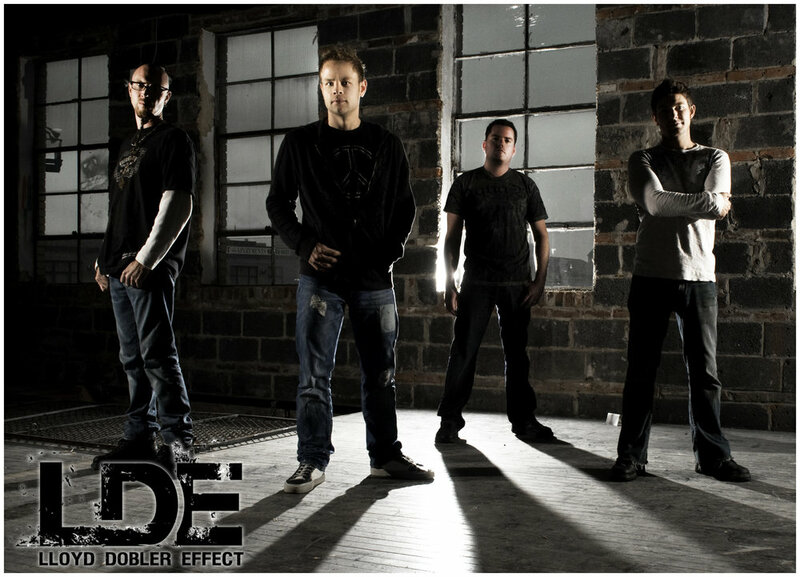 Lloyd Dobler Effect are full time touring musicians having performed in over 40 states and 13 countries. They have performed on the same bill with such notable artists as Santata, Steve Winwood, The Fray, Jane’s Addiction, Eminem, The Goo Goo Dolls, Good Charlotte, The Roots, and Jack Johnson. At weddings & special events, LDE handles all of the reception live music, the Deejaying, emceeing and the band lighting and PA rental requirements. Lloyd Dobler Effect’s multi-layered and upbeat music showcases their universal appeal to both mainstream modern pop & rock lovers and culturally diverse audiences. PopCulture Strings offers an innovative and contemporary take on the traditional concept of a classical string quartet. PopCulture Strings presents themselves with a youthful appearance, dressed either in traditional black-tie, or alternative costume options to fit the theme of your event, or to simply lift the atmosphere. Another twist on the typical string quartet is their capability of performing any variety of musical styles from Sinatra favorites, to classic rock, to R&B and any of the current Billboard Top 40 hits heard on the radio and in dance clubs. From The Beatles, and Led Zeppelin, to Lady Gaga, you name it — they will perform it! Since 2003, Trio Caliente's inimitable blend of Flamenco, Pop, and Brazilian Jazz has been enjoyed by political luminaries stateside and abroad; notable Fortune 500 companies; and venerated international organizations, festivals, and concert venues around the world. Whether providing elegant accompaniment to a formal dinner or sultry, throbbing rhythms that keep the dance floor packed all night long, Washington, DC-based Trio Caliente effortlessly creates the ideal atmosphere for any type of event. With vocals in Spanish, Portuguese, Catalan, and English set to a wide array of Latin grooves, Trio Caliente's sound is reminiscent of The Gipsy Kings, Buena Vista Social Club, Strunz & Farah, and Jobim-but with a flavor all their own. DJs/Emcee, dancers, special effect lighting, professional sound system, dance floor lighting with LED skirts, customized monogram lights and cocktail hour speaker setups are just a few of the services that make up our award winning service. With options to add two TVs on trussing for your video or personalized slide-show, multiple music videos and dance floor simulcast our DJ packages allow your vision, no matter how big, to come to life at your event. Whether it’s capturing a whispered I Do, the first dance, a breathtaking venue, an incredible performance, or a speech that deserves an encore, we provide professional services that allow our customers to re-live the night, or notice something for the first time. Creative documentary style filmmakers, photography and videography, with over 30 years of experience allow you to share your celebration, conference, and special moments on any platform, in any room, with anyone who couldn’t make it, as often as you like. We’re trusted to capture and record weddings, receptions, private parties, LIVE concerts, corporate events, LIVE entertainment celebrations, LIVE music performances, and literally everything in between from Washington DC to Los Angeles, to Las Vegas and to the other side of the globe, on almost every continent and with literally thousands of happy and excited people all over the world. Kushner Entertainment allows the vision we designed on behalf of our customers to be relived, shared, shown off, promoted, used in marketing collateral or enjoyed in private — in HD — as often as they like. In addition to our professional photography and videography services, DJs, and internationally recognized musical talent, we offer our customers and their guests the opportunity to let loose, have fun, record memories, laugh and share snapshots of a celebration with photo-booth options we prepare and set up for an added element with which guests can engage and capture moments. The ultimate experience, we believe, is that perfect balance of a story told masterfully, visually, accompanied by a soundtrack that’s simply unforgettable. Please feel free to use the space below to add a note, or share any added requests and information you'd like us to have before our discovery meeting or telephone call.